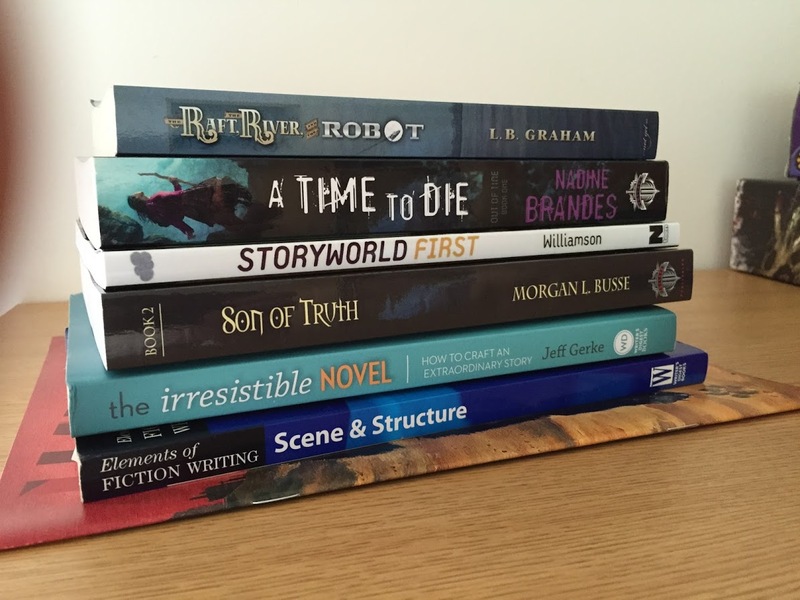 I returned from my first writer’s conference with a short stack of new books. I perused the book store, met with a couple of the authors, and chose books that looked interesting. I gobbled them up when I got home. Each book blew my mind. These were some of my jumps into christian science-fiction and fantasy. I spent the next several months forcing these books into the hands of my friends, my family, and a maybe even a random stranger or two. It was all I could talk about to people! My copy up there of A Time to Die by Nadine Brandes has been read by about a dozen people by now. But recently, I had a couple conversations that made me ask myself a sticky question: Is letting a friend borrow a book robbing the author of a sale? That question is a bit “click-baity”, but I recently have wrestled with that question. When I have a book in the wild, published, with my name on it, and sitting on a shelf – how would I feel about people loaning it around? As an author, I would like the sale. Is loaning out books wrong? Back to that book above – A Time to Die – I loaned it out to several people, but here’s the deal: It’s the first in a trilogy. The same with Firebird and Embers over there on the right. By loaning out the first book in the series, I can get readers hooked and then make them go buy the rest of the series! MUAHAHAHAHAHAHA….. Other books in these stacks are the sequels to books that I have on kindle. I don’t loan out my kindle, but I can encourage my friends and family to snag book one with the promise of book two dangling like a carrot in front of a donkey. Ok… bad analogy for my friends and family. 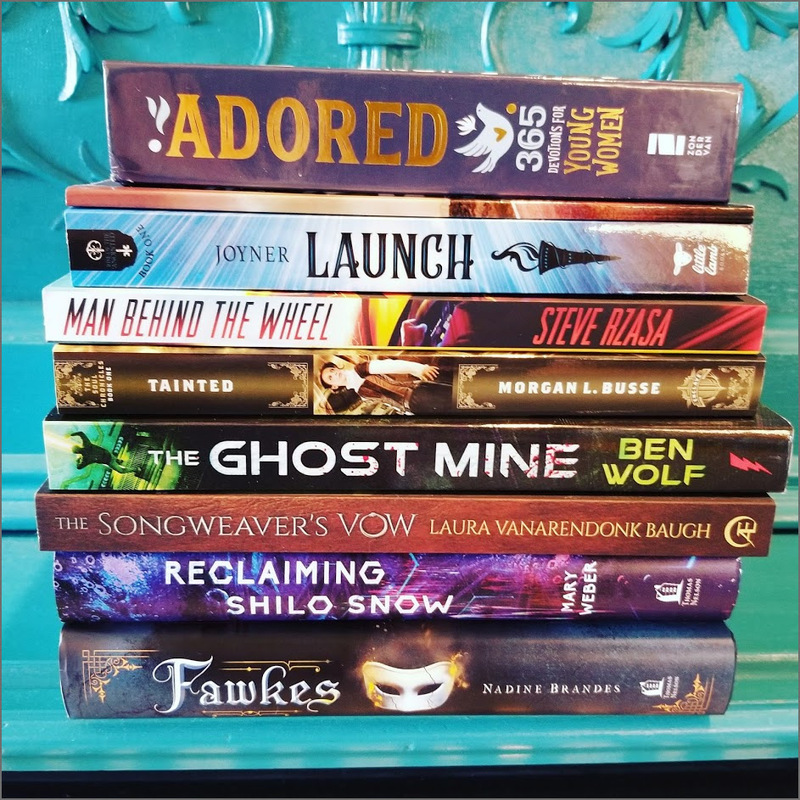 This year’s stack was less about sequels, prequels, or books to loan out to friends. This year I bought books to support the accomplishments of my friends. 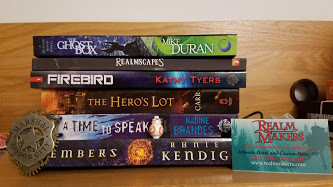 To clarify, these are all amazing books and I want to read to each of these (like right now), but these books represent countless hours of writing, editing, brainstorming, editing, working with cover artists, marketing, and editing, and I want to show my support. I bought these books because I love these people. Since I know these authors, I know that these books are full of beautiful prose, relatable characters, and heart-racing action. I recently had a conversation with an independent book store owner about an online store that rhymes with Glamazon. And honestly, I knew that authors only received a portion of sales from this widely used online store, but I had never given my book purchasing habits a second thought. Shortly after that conversation, I was recommending a book to a friend, and I caught myself mid-sentence. Rather than telling them to grab it online, I suggested they pick it up from a brick-and-mortar store. Sure, it may cost them a couple extra bucks, but as readers, we need to show support for our author friends. I know this seems inconsequential. Honestly, I’m not going to skip out on free e-books, or sales (most of those are set the author themself) but I’m not going to let the sale be my reason for buying. Go buy a book! Read it. Then go that online store and leave a review! Hit up goodreads, and B&N, write reviews for the books you love. An honest review, and a recommendation to a friend goes a long way to an author’s heart. What are your thoughts on this? Do you buy at physical stores, or evade online retailers? Do you snag free books, or buy off recommendation? I’m not sure where I sit on some these lines, but I do know my support lies with the author. What was the last book you bought? I’m almost to the end of Fawkes. It is so good! I’m hoping to have a review up here next week. I’d love to hear what you’re currently reading. Drop a comment below, or find me on Facebook, Instagram, or Twitter. Until next time! 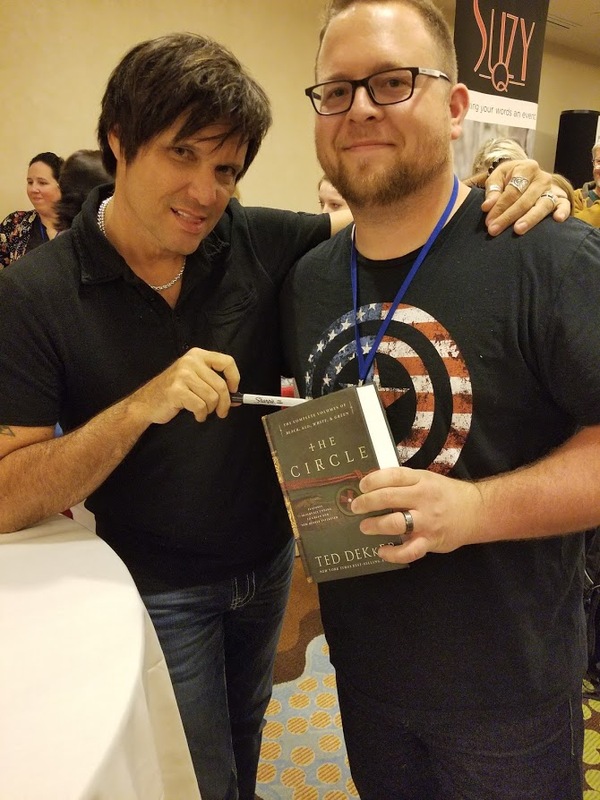 Also, here’s a photo of me getting a book signed by Ted Dekker. No, I don’t know why his tongue is out. His Circle Trilogy is pretty solid! The only thing worse than, “I borrowed it from my sister” is “I found it at the Thrift Store.” Thanks for reminding me that any path can create a new reader for future work. Thanks for reading, and leaving a comment! Real like example of this — because you recommended A Time to Die, our school bought about a dozen shiny, brand new copies for students to read for a class last year! And many of those students not only told their friends, but went on to buy the rest of the set. Like you said, loaning out books can be the gateway for a whole new audience to “meet” an author/character/story you love. I had people recommend having a local library purchase said books. So expect a shiny new list of book recommendations coming your way. You’ve got a nice stack there on the bottom. I just got The Crescent Stone by Matt Mikalatos which released today. Ah, nice! I will check it out! I love requesting my favorite authors’ books at my local library. Not only am I getting the author more money (library copies cost more because of the licensing), but I can also show my support of the library and recommend friends check it out there. They might even have to purchase more copies if I send enough recommendations their way! Thanks for the comment. We chatted on FB, but yeah, libraries rock!